Announced on this site, there's 2 screens from the Atari, a hires and a colour, neither are in game screens while other formats are....Both near the bottom of the thumbnails....Going to available for many machines..
Looks like the Atari version is the last on the to do list by no game screens..
Edited by Mclaneinc, Mon Oct 29, 2018 2:06 PM. The Atari Versions are shown at teh end of the video, high res mode and color mode... 16k and are supposed to be included in the purchase.. Cool but never heard of it. 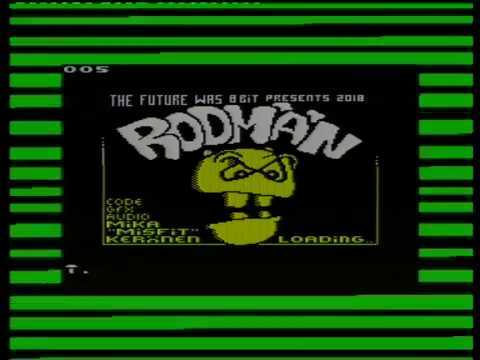 Neither had I, I was looking at CSDb for anything C64 that was new and saw the name, said it was a commercial game so went to the site and saw it was multi format including the Atari..Good days.. But kind of silly that the plonkers at the company to not come to a forum like us and promote it....I know the company as its where i purchased my SD2IEC loader cart for the C64 before selling it to get the Ultimate II but you would think you might put it about you have a new game coming out in these quieter retro days..
Edited by Mclaneinc, Tue Oct 30, 2018 2:36 AM. José should add sprites overlays to high resolution version! I'd say if you purchase it, let them know you will use it on the Atari, I'd encourage them to make more, and you can't go wrong on the price! Edited by _The Doctor__, Sun Dec 30, 2018 3:11 PM. If he just went here in quiet and just watching maybe he could done better, even without contacting anyone. It remembers that like on the past a quick port from others just using 6502 code. I don't see any cause for enhancing the game just using the PMg . For a first program , the result is very well done. 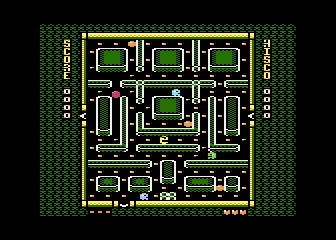 Particular that for the Atari two versions exist. 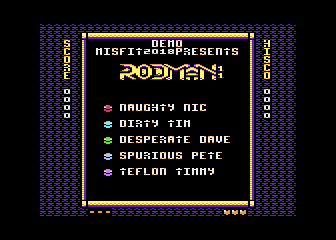 Guys did you noticed that on the FTW8bit there's a .zip of demo(s) with all versions and the unexpected surprise is that a 5200 version .rom is also inside? Edited by José Pereira, Wed Jan 2, 2019 9:44 AM. Using exactly the original (I'm extracting chars but it seems they're all fit in a single hi-res and other single on mid-res charset(s)) gfxs it can be turned into charmode Antic4. Only thing is that coder used white as PF0 and it need to be PF2 but that is a simple data exchange . At the Title screen there's 5ghosts but it seems from video that maximum per screen are 4 (and is on Saberman's video only on A8 version while all the others and in all videos only seem to be 3) so we can have each ghost 1Player and our guy overlay with 2Missiles in 5th Player Mode PF3 yellow colour. Always is in use on all the two versions Prior1 so the only need is to add the PMGs data and overlay them into the correspondant gfxs . What I have in mind and is entering in contact with the guy and show him this. It, for sure, already has all the taped saved and packadges done so if I'll propose him that for each one that buy the tape he could send the digital file (or one day when all tapes will be sold and no more done). Ifg he don't want to do this I'll also propose him that I'll get with his permission one here to add this. Edited by José Pereira, Wed Jan 2, 2019 11:58 AM. I say that I would like to buy your enhanced versions! I am tempted, but that dis of the 800 on his page...thems fighting words. 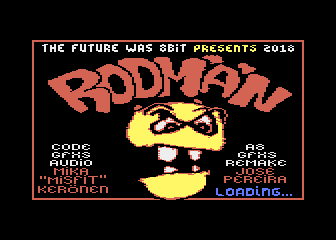 It seems that those "Commydores" , even the one I saw and post here doesn't seem to be on those demos files so I had to try myself using that .jpg and turn it into black, yellow and other colour using Atari Graphics studio .mic format than import it into G2F. I got the guys and Misfit mail adresses so I'm thinking in first see if any coders here maybe interested in seeing the code and turn it to charmode Antic4 and those PMGs overlays for the guys. If this have sucess I'll then contact them to see how... I'm thinking in proposing them an A8 enhanced version with this and maybe more screens/levels, a constrution kit like in Boulder Dash,...? and have a release on disk by them. This way they can sell the tapes by now and in future A8 people can have the game better and with more stuff (maybe they'll also be interested in doing this for other versions as well?). Edited by José Pereira, Mon Jan 7, 2019 11:55 AM. A game that looks better on the C16 than on the A8 ? It's amazing that people find time today to program one game for one system, so what Misfit did with supporting so many platforms is amazing but this of course leads to the game not using the most powerful possibilities of all the systems. 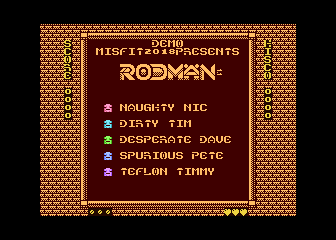 It's cool to get and Atari 8bit port along with the others no matter what. Can anyone actually patch the game to have coloured ghosts?